Don’t put up with an unsightly or dangerous growth on your property any longer. Get a professional North Shore tree removal service that you can count on. Call Vision Horticulture in St Ives for all your tree lopping and removal needs. Let our experienced professionals exceed your expectations and provide you with a safe and affordable tree management solution that’s unique to your North Sydney property’s requirements. With a service area stretching from Hornsby to Chatswood to Manly, more people than ever can get high-quality, professional services. 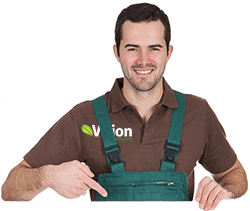 Let the Tree Management Professionals from Vision Help You! Trees can become dangerous because of their age or because of infestation; they can also become structurally unsound or have to be removed due to a new construction or renovation project. Our tree removal services are performed with professional precision in a manner that is safe, and won’t cause damage to your existing property. We’ve been faced with all types of difficult situations on the job. Trees that hang over houses or electrical wires need to be lopped or removed with careful planning. It is a dangerous procedure that needs to be performed by professional arborist to ensure everybody’s safety and to prevent any damage to your North Shore property or business. The experienced team from Vision will work with your schedule to plan out the entire tree lopping process for the convenience and safety of everyone nearby. We offer virtually every tree-related service you can think of in the Manly, Chatswood and Hornsby areas, including tree lopping and trimming, emergency care, stump removal, and so much more. We never remove trees illegally and always work within council regulations that govern tree preservation. Some trees can be removed without council approval according to the 10/50 rule which can be downloaded here. All of our tree pruning, stump grinding, and cutting of branches is performed by trained and qualified experts.